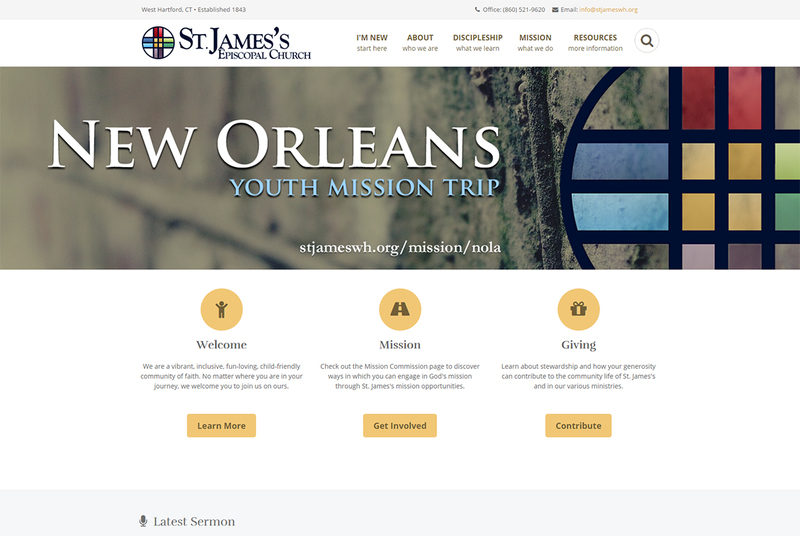 St. James Episcopal Church was in need of an upgrade. The website was built on Wordpress for its Content Management System, but had outgrown the platform. There were many pages in the site and it was becoming slow and difficult to manage. Big Ocean Studios suggested switching to Craft CMS to improve performance and ease of use. Additionally, a new responsive design was implemented at the same time. Now the site is a breeze to manage and for visitors to use.